Activists give speeches during a community vigil for Claudia Patricia Gómez González at the the Basilica of Our Lady of San Juan del Valle National Shrine on Thursday, June 28, 2018, in San Juan. González, who is from Guatemala, was shot and killed during a confrontation with a U.S. Border Patrol agent in Rio Bravo, Texas. SAN JUAN — Chants of quieremos justicia (we want justice) and no estan solos (you are not alone) reverberated during a Thursday evening vigil for a 20-year-old Guatemalan woman who was slain during an encounter May 23 with a Border Patrol agent in Rio Bravo, near Laredo. 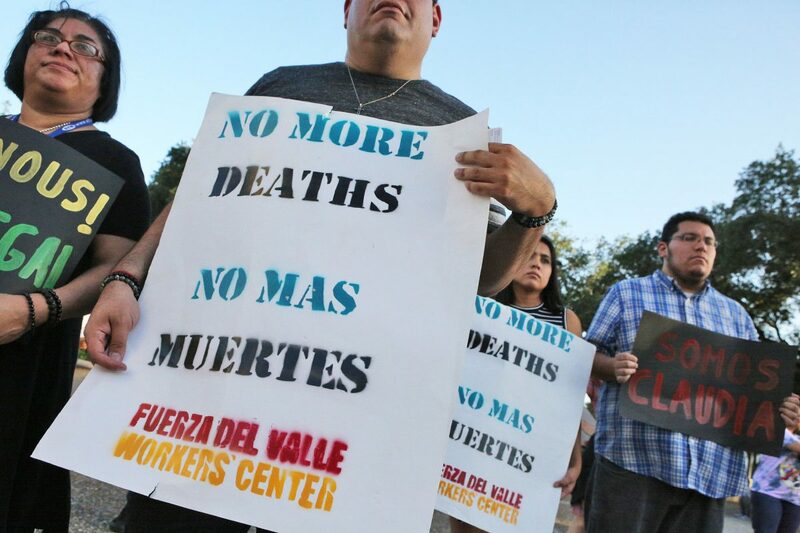 The two-hour vigil with over 40 people in attendance was held at the entrance of the Basilica of Our Lady of San Juan del Valle National Shrine and spoke to the untimely death of Claudia Patricia Gomez Gonzalez and the plight of immigrants fleeing violence in Central America. To the right side of the basilica’s entrance stood an altar with a photo of Gomez posing with red and gold marigolds. The portrait was surrounded by candles and a rosary. 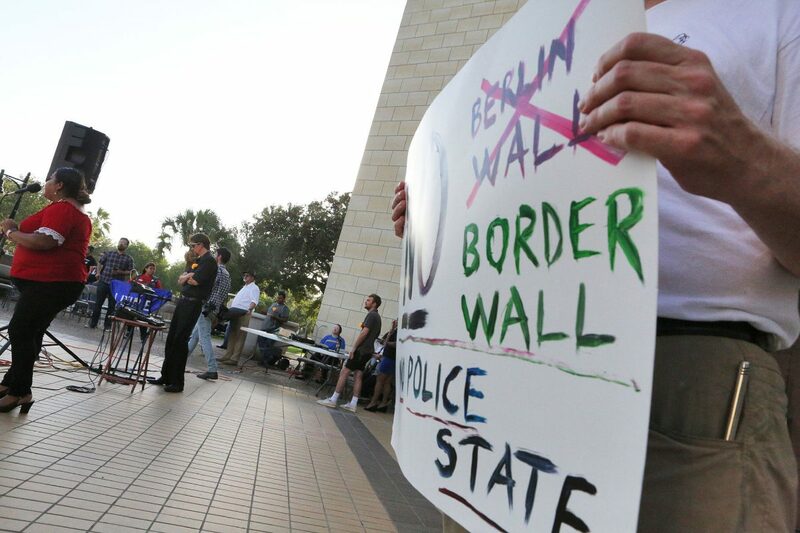 While the vigil was primarily focused on the plight of Gomez, those in attendance also were focused on related issues such as the border wall and separation of families. Activist give speeches during a community vigil for Claudia Patricia Gómez González at the the Basilica of Our Lady of San Juan del Valle National Shrine on Thursday, June 28, 2018, in San Juan. 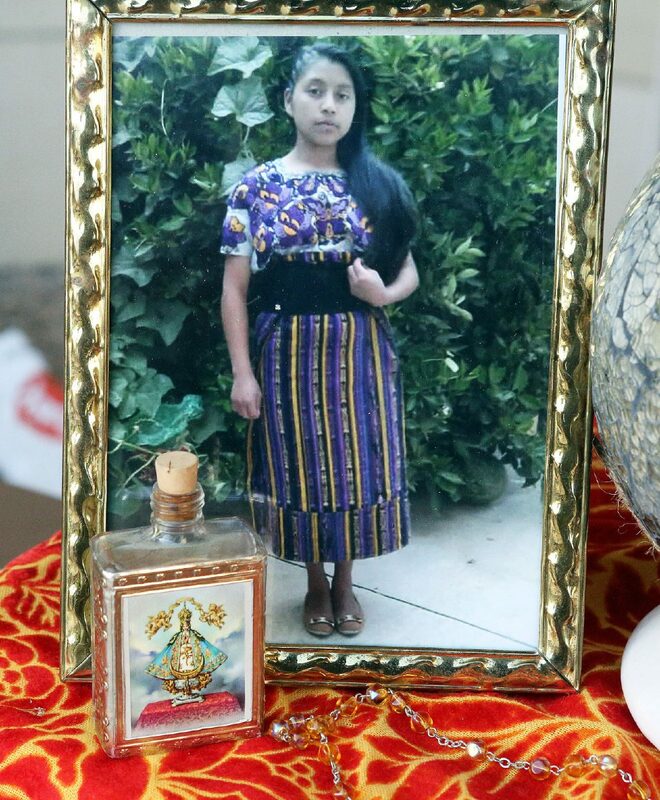 González, who is from Guatemala, was shot and killed during a confrontation with a U.S. Border Patrol agent in Rio Bravo, Texas. Activist carry signs with a message during a community vigil for Claudia Patricia Gómez González at the the Basilica of Our Lady of San Juan del Valle National Shrine on Thursday, June 28, 2018, in San Juan. González, who is from Guatemala, was shot and killed during a confrontation with a U.S. Border Patrol agent in Rio Bravo, Texas. 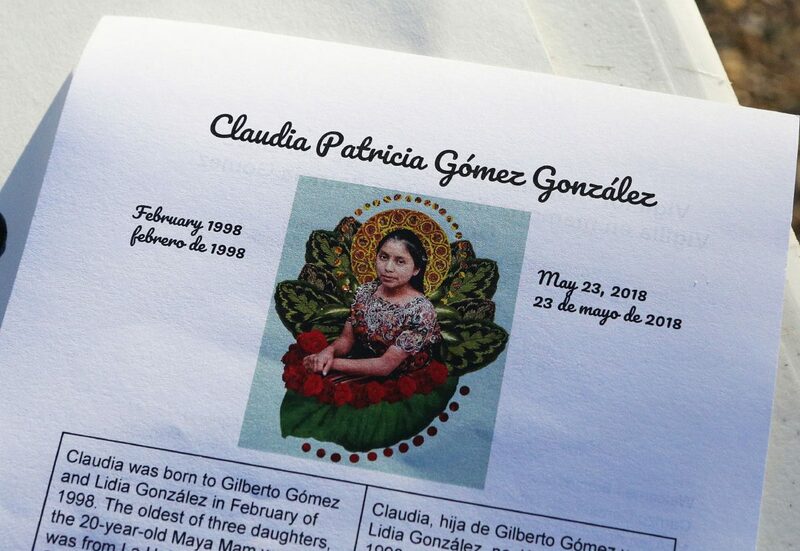 A flyer with a picture of Claudia Patricia Gómez González rest on a table during a vigil at the the Basilica of Our Lady of San Juan del Valle National Shrine on Thursday, June 28, 2018, in San Juan. González, who is from Guatemala, was shot and killed during a confrontation with a U.S. Border Patrol agent in Rio Bravo, Texas. A photo of Claudia Patricia Gómez González rests on an altar during a community vigil at the the Basilica of Our Lady of San Juan del Valle National Shrine on Thursday, June 28, 2018, in San Juan. González, who is from Guatemala, was shot and killed during a confrontation with a U.S. Border Patrol agent in Rio Bravo, Texas. 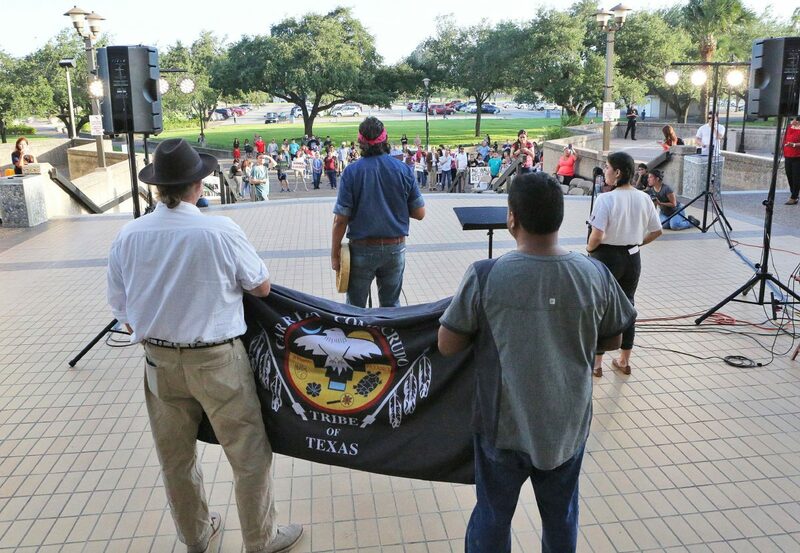 One vigil attendee was Emilia Alvarez, an educator and child advocate and immigrant herself, who said there was no reason for the killing and mistreatment of immigrants crossing the border trying to make a better life in the United States. Alvarez said she is concerned about the mental trauma that immigrant children are coping with. 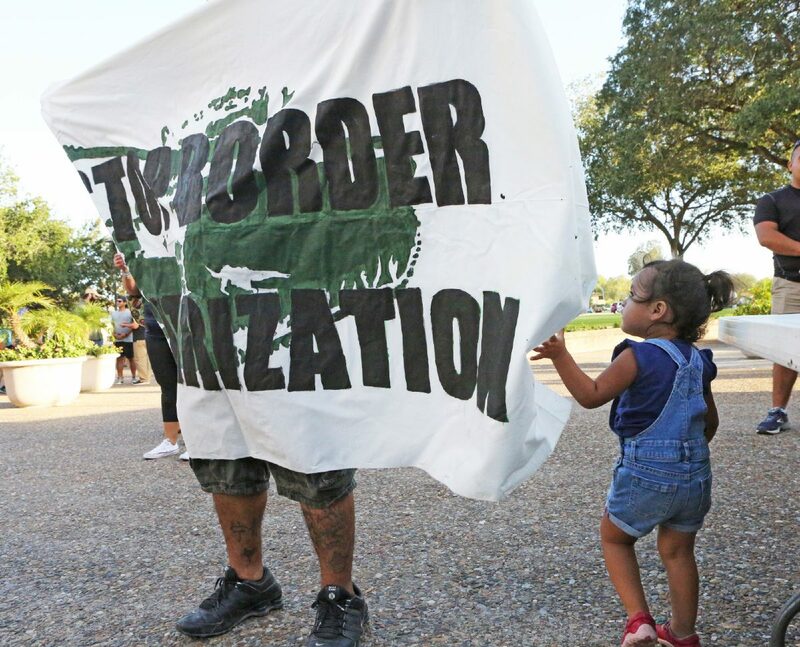 Krissi Trumeter, who lives in Austin and is part of the Texas Civil Rights Project, said she heard about the separation of families through a leadership meeting and decided to take part in the “breaking bread, not families” movement. Trumeter believes in solidarity and is completing her week without eating in support of the children. As the evening wrapped, a representative from La Union Del Pueblo Entero (LUPE) used her phone to connect via FaceTime with Gomez’s parents. Gomez’s parents thanked everyone that attended the vigil and to urged them to continue fighting for justice.